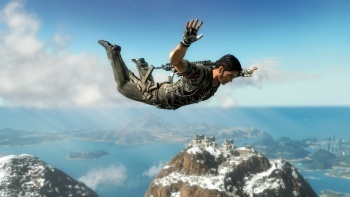 The success of Just Cause 2 on the sales charts is great news for Avalanche Studios, and the studio head would love to further explore the IP. Christofer Sundberg, head of Swedish developer Avalanche Studios, said that he was encouraged by the sales numbers of Just Cause 2 as well as the positive reviews so far. According to ELSPA, the Square-Enix published title beat out both Pokemon games to take the top spot of the U.K. sales charts and charted in the top 10 of the U.S., according to VGChartz. The company as a whole is very attached to the IP of Just Cause (Sundberg wrote the original pitch himself) so he hopes that work can begin on a sequel. I personally wrote the original pitch for the game in early 2003, so it's something that means a lot for me and for the people in this studio. The studio lives and breathes the Just Cause franchise, and handing that over to another developer would spoil it. No one has the attachment to this IP as we do. Sundberg said that the success of the game is especially important after being forced to lay off a reported 77 staff members in 2008 as well as a further 20 in 2009 when a few development deals fell through. "It shows that we are here to stay in spite of the last eighteen months, which have been a struggle. We have learned a lot during this year - we grew to 170 staff and scaled down from there," said Sundberg. "We now have a very reasonable staff size in terms of requirements, and we now have a core team who can produce quality and give each project the care it deserves." See here for The Escapist's review of Just Cause 2.